Welcome to MOLLY MAID of Gainesville. We are your hometown, locally-owned, professional Gainesville house cleaning company. We specialize in professional house cleaning and carpet cleaning services that revolve around our clients in Gainesville and NW Alachua County. We’ve been providing residential maid services to residents in Gainesville, Newberry, Alachua, High Springs, Archer, Jonesville and the surrounding areas since 1997. When it comes to cleaning, you can trust the Gainesville home cleaning professionals at Molly Maid to get the job done right. We will send a team of two fully trained and insured home service professionals to your home. Our housekeepers will arrive in Molly Maid marked vehicles, dressed in uniform, and bring all the cleaning supplies and equipment necessary to make your home fresh and clean. We work with our customers to accommodate their needs and design a cleaning plan and schedule that is right for their home. Whether you are looking for regularly scheduled home cleanings or are in need of a one-time clean for those customers moving-in or moving-out of their home, we can customize a cleaning plan that’s perfect for you. Satisfaction guaranteed. Are your carpets in need of cleaning? No problem. MOLLY MAID of Gainesville also offers carpet cleaning services. Give us a call today and see why we are Gainesville’s maid service of choice. Not only do we provide Gainesville maid services, but we are also active in the local community. We are proud to support Peaceful Paths, which is a local domestic violence shelter and resource center in the area. Yes. You won't need to provide anything. We bring all the necessary equipment and supplies to give your home the clean you deserve. Do I need to be present when you clean my home? No. We are fully licensed and insured for your protection. Our professional staff will arrive at your home in uniform and in a marked car and get right down to the "dirty work". However, if you wish to stay, you are certainly encouraged to do so. If you are interested in regular service (weekly, bi-weekly, or every four weeks), we provide a free, custom, in-home estimate as all homes aren't lived in or built alike. If you have additional questions about our Gainesville maid service, please feel free to give us a call at (352) 353-4953. 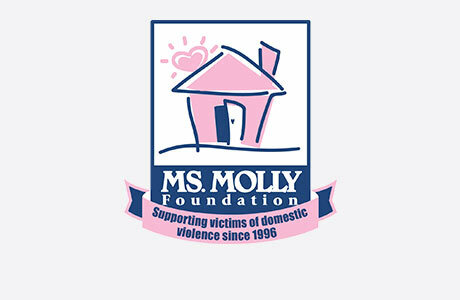 Request a free in-home estimate and learn why your local Molly Maid is the most trusted name in house cleaning.